The toughest sport in the world in its most beautiful form! A:XUS offers the right bike for all cycling enthusiasts. Be it professional or age group racers. Our core competence: Carbon. A:XUS is a synonym for lightweight and superior handling features. Our speciality: Design your personal bike with our unique customcolor online-configurator, make every A:XUS-bike one of a kind! Lightweight frames and components: that pass the stress test under all conditions of competition, this is our mission. Read more: The toughest sport in the world in its most beautiful form! 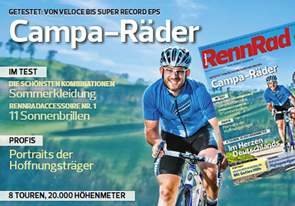 The German RennRad magazine has recently tested our brand new A:XUS Baiardo Evo together with other Camapgnolo-equiped race bikes. A very positive verdict about our quality management and the Baiardo’s driving behaviour are reason enough to publish the test on our web-site. 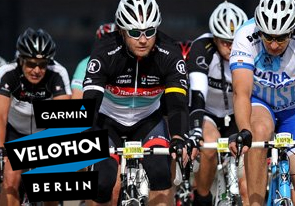 A:XUS has signed a deal for 2013 to become “Official bike-partner of the Garmin Velothon Berlin”. As part of this partnership all participants of the race are invited to design their own A:XUS Baiardo Evo – one lucky winner will get exactly that one bike that he created for himself. On top of this A:XUS has a limited number of VIP-starting slots in that top event. Since it’s inauguration in 2008 the event has positioned itself as the second biggest bike-race of it’s kind in Europe.